The 2018 Mazda3 and the 2018 Honda Civic are both amazing vehicles. 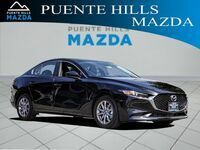 For the purposes of this comparison we will focus on the 2018 Mazda3 4-Door Sport Manual and the 2018 Honda Civic sedan LX 6MT which are two similar versions of each model. To start with what they have in common, they have similar standard engine types and performance specifications. They both are Front Wheel Drive vehicles with 6-speed manual transmissions. Both vehicles get an estimated 28 mpg in the city. They also come with many of the same standard safety features such as a Rearview Camera. However, not all of their safety features are the same, which brings us to their differences. Keep reading to learn more about the differences between the 2018 Mazda3 4-Door Sport Manual and the 2018 Honda Civic sedan LX 6MT. The chart above shows one difference in standard safety features. 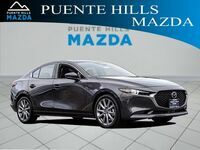 Other differences include that the 2018 Mazda3 4-door Sport Manual has optional Blind Spot Monitoring (BSM) and optional Rear Cross Traffic Alert (RCTA), while neither of those features are available on the 2018 Honda Civic sedan LX 6MT. 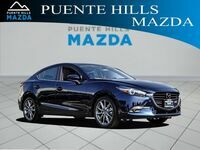 Aside from safety features, the 2018 Mazda3 4-door Sport Manual also offers more convenience features such as the standard Remote Fuel Door Release and the optional Universal Garage Door Opener and optional Remote Ignition, none of which are found on the 2018 Honda Civic sedan LX 6MT. The convenience features continue with features such as the optional Heated Exterior Mirror, optional Signaling Exterior Mirrors, optional Rain Sensing Wipers, and an optional Load Bearing Exterior Rack. Again, the 2018 Honda Civic sedan LX 6MT lacks these features. To us, it is obvious which vehicle is superior. Although they are similar in their basic shape, size, and performance, the 2018 Mazda3 4-Door Sport Manual comes with many more features, but still costs less. 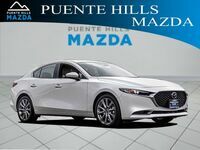 Come into Puente Hills Mazda to view our 2018 Mazda3 4-door inventory and find your next Mazda vehicle with the help of our sales team. We hope to see you soon!